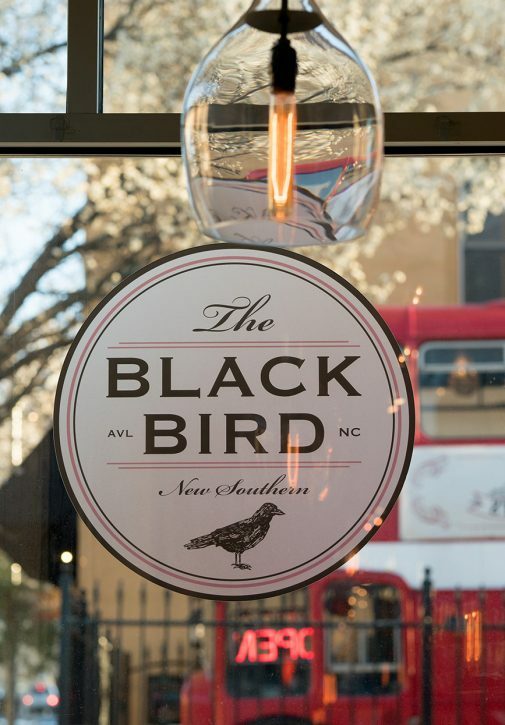 The Blackbird’s goal is to delight guests with cooking grounded in the traditions and ingredients of the Carolinas creating an affordable and vibrant menu – Modern Southern with a “nod” to tradition. The menu features the seasonal best from local farmers, fresh catches from the coast of the Carolinas, incredible local micro-brews, specialty cocktails, and great wines from the Americas. Our menu changes seasonally to reflect the bounty of the area and the chef’s creativity. The Blackbird’s award-winning food, desserts and prompt service will impress you every time. Come celebrate the foods and brews of the Carolinas! The rest of downtown is only a walk away. Parking is available on Biltmore Ave, inside the Aloft Hotel parking garage (first hour is free). Ever since Michael was a young man he was at the stove cooking. He loved all kinds of food, but landing a job in his uncle’s kitchen was the catalyst that drove his passion for culinary arts through the roof. After graduation from Le Cordon Bleu, Michael worked in some of the most innovative restaurants in Boston, steadily climbing the ladder of the culinary world. He was learning from the best Chef that Boston had to offer, but since the birth of his daughter, and the fact he was raising her on his own, Michael decided to risk leaving Boston and move to Asheville to be closer to his family. Shortly after arriving in Asheville he started working at the Blackbird. Due to his hard work and love for food, he quickly achieved the prestigious rank of Executive Chef. At the Blackbird, Michael has found a home where he can create works of art that people from all ages can enjoy. In March 2019, the time came for the former owners to transition into other opportunities. Having worked closely with Michael, they knew that he was the only choice to truly carry on their vision for The Blackbird. 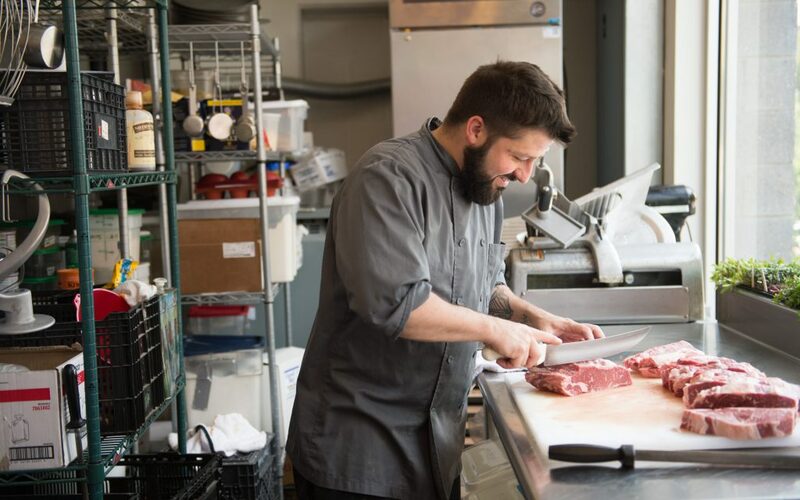 As a hands-on owner, Chef Michael works with local and regional farmers and food producers. This ensures that our food is fresh and a true reflection of Western North Carolina. By working with our community to source our restaurant, we are building relationships and supporting good food at it’s roots—-literally! After growing up in Southwestern PA and spending some time in San Francisco, John moved to Asheville, in 2003. Being a longtime small business owner, and serving on the board of directors for multiple, local, non-profits, John has witnessed the wonderful transformation of Downtown Asheville and the surrounding areas, and is thrilled to be a part of it. He met Michael, through mutual acquaintances, and was immediately impressed with his passion for the culinary arts. When the time came for Michael to have the opportunity to take ownership of The Blackbird, John had no doubt that it would be a perfect fit. Faith in Chef Michael’s skill and vision make John very excited for The Blackbird’s future. Rama was born in Texas, raised in Iowa, and has lived more than half of his life in Asheville, while spending the last 15 years traveling the world on occasion. He has visited 27 countries and experienced a range of diverse cultures, from enjoying the rich cuisine of Thailand and Peru, to lounging in the sophisticated air of the Stellenbosch and European vineyards. In 2015, he and his wife Sara had their first baby, Rama Jr.
With over a decade of experience in restaurants, his love for crafting cocktails and authentic desire to connect with his guests shines brightly. If you get the chance to meet Rama you are certain to remember him, as his magnetic personality will surely make an impression. After many years spent honing his skills within the service industry, Rama has found a happy home as a manager of The Blackbird.